You know I am all about breakfast lately! I am also all about meals that I can make ahead and enjoy for a few days. Today I am bringing you my take on a Vegetarian Breakfast Lasagna that will satisfy everyone at your house. It is perfect for everyday or for your holiday guests. This vegetarian breakfast lasagna is loaded with heart healthy eggs and protein to fill you up and keep you going all morning. As a vegetarian, I am a big fan of eggs for breakfast. They provide a huge amount of protein and healthy fats that fuel my workouts and keep me full all morning. Oftentimes, I will also make something like this Vegetarian Breakfast lasagna for dinner and then eat it for breakfast for a few days. I’ve used thinly sliced baking potatoes here for the “noodle” layer and added some vegetarian crumbles to add a hearty “meat like” consistency. If you were making this for non vegetarians, you could easily use another meat protein and it would work just as well. I like to prep all of my ingredients and utensils before I start cooking. By the way, I am completely obsessed with these great Rachel Ray casserole dishes and now have them in 2 colors and sizes. I use them for everything! I thought it tasted even better the next day! You might even fool some meat eaters with this one. Hope you enjoy! I am entering this recipe into a contest with Eggland’s Best eggs. I was not compensated in any way for this post and all the yummy ideas are my own as always. 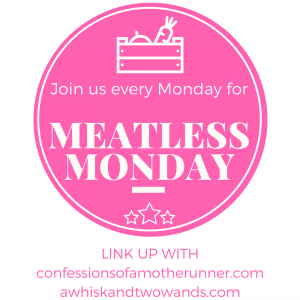 I just linked up w @miss_whisk @deborahbrooks14 for #MeatlessMonday join us! Do you like breakfast casseroles? What do you think of using potatoes in this one? Thanks for joining me and Sarah for Meatless Monday today! This sounds delicious! I love egg dishes for breakfast too and look forward to trying this. Pinned 🙂 Thank you for hosting & have a Great Week!! I love a good veggie breakfast casserole…I need to make this for Easter brunch. Looks yummy! Thanks it would be perfect for Easter brunch! Susie @ SuzLyfe recently posted…Brunching, Walking, and Setting Up for a Busy Week! OMG Breakfast Lasagna?! That is so creative!!! I love it. Thanks hope you try it out! I have always wanted one of those Rachel Ray dishes. They look like they’re nice to cook with! I have them in 2 colors now they are so great! That a really cool idea! This sounds amazing and I have pinned it! Obviously from my post today I am not a vegetarian, but the majority of my meals are. So there are a lot of eggs in my breakfasts, too. Eggs are the best for breakfast aren’t they? Doesn’t this look yummy! What a yummy way to mix up lasagna. Any kind of breakfast bake you can assemble ahead is good in my book. I am really into breakfast right now! Wow! That looks yummy, and I bet even non-veggies would eat that one! Do you cook separately for your family or do they eat vegetarian too? I think non veggies would eat it too and you could add ham into it but don’t tell anyone I said that. I often cook separate meals for myself and eat them for a few days. The rest of my family is not vegetarian but sometimes they will eat my stuff too. Breakfast casseroles are great for making to bring to a breakfast or brunch gathering. This looks like a great one! Jump out of bed?! I kinda want to jump IN bed with it 😉 Hehe. Looks delish! ha ha that works too! This sounds so good! My family loves an egg-based breakfast and I’m sure they’ll go crazy for this one. Thanks so much hope they enjoy it! I love eggs for breakfast, too. In fact, that’s what I have every day. But it’s easy to get into a rut with that if you have it the same way all the time. So thanks for posting this — I keep forgetting there are so many things you can do with them! Yum! This would even be a great brunch meal! lacey@fairytalesandfitness.com recently posted…Hey Runner’s, Why we’re breaking your rules! Mmm breakfast lasagna?! I’m totally down!! WOW! This looks amazing!! I think my boyfriend would really love this one! This looks amazing! I never thought of using the potatoes as noodles. Genius. Oh this looks delicious! Great for a lazy weekend morning. I may just have to make it Saturday if I get to the grocery store when we get in Friday, or just see if my mom can pick up what we need to have on hand when I get home. Thanks I hope you and the kids like it! Good luck in the contest! What an inventive way to use eggs/make lasagna! I am DROOLING hehe! That looks amazing, as always! Michelle @ Movin’ it with Michelle recently posted…Weekly wrap up, 2 weeks down with an easy recipe! Thanks so much this one is pretty easy to make as well! My first time joining! Look forward to reading more. I love following other fitness niche blogs. Thanks for hosting! Great recipes to choose from! So great to have you! Look forward to checking out yours as well. Welcome! Hi Deborah, this vegetarian lasagna looks awesome, tempting. I really liked the layer of potatoes and tomatoes at the base of the lasagna. OMG looks delicious. I love your recipes. You are so creative! 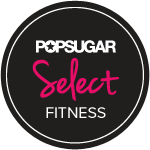 Margo recently posted…Brooklyn Fit Chick Playlist: Featuring The Killers, Dear Rouge, P!nk, TLC and More! This is such a great idea!!! I’ve been really into savory breakfasts lately. Especially if it involves eggs! I think I really will jump out of bed to try this – it looks AMAZING!!! Rachel @ RachelMcMichael.com recently posted…Spring into Fitness with These Must-Haves! Almost like my breakfast casserole which you could make meatless (by removing the bacon/ham/sausage). YUM! Breakfast is probably my favorite meal of the day. This just reminded me of my early mornings at Pizza Hut back in the day. We used to make breakfast pizza with the pan pizza crust. I used to think it was the best thing I had ever tasted. I bet it was good! Yum! I love breakfast dishes that can be reheated for leftovers like this. Sounds delicious! Wow! I’ve eaten leftover lasagna for breakfast before, but never like this. What a brilliant, healthy and delicious idea! I could totally see making this for a Sunday morning, and enjoying the leftovers through the week for a quick breakfast. Absolutely that would work great! Never would have thought o a lasagna like this for breakfast! Right now I am on this (boring) protein shake diet for breakfasts, but eventually when that ends I will need healthy choices like this. I’ll pin it to try later! Thanks! Thanks so much hope you do! I’d love to know if you figure out how to do that! Cheese and eggs are the reason I am not vegan but vegetarian. Link up with us sometime! i’d totally be up for this casserole anytime. I had never heard of breakfast lasagna before, but per usual, you have taught me something new! This sounds like such a delicious breakfast dish, and I always love things that I can store and reheat the next day. Thanks for sharing! You are so sweet! I hope you give it a go! I like the use of potatoes instead of noodles and anything that can be eaten as leftovers works for me. 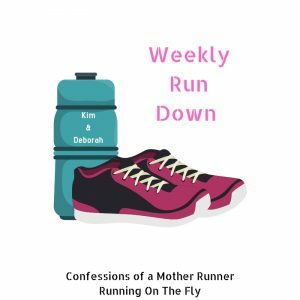 MCM Mama Runs recently posted…White House, racing, and feuds, oh my! Oh wow! I am hungry for breakfast now although I would totally eat this morning, noon and night! Thanks that’s what I did too! Yum! I love breakfast dishes! This would be perfect for a brunch. Looks delicious Deborah. Using potatoes as the noodles is a great idea! Thanks for the recipe! that looks delicious! i pretty much love any kind of casserole dish with eggs! thanks for sharing! Oh my gosh! How creative! I absolutely love that you use potatoes for the ‘noodles.’ I’m a vegetarian too and need to try this ASAP! Pinning!! I love breakfast! Hands down my favorite meal of the day. I would even make this for a dinner dish! Sounds delicious! I originally made it for dinner and then had it for breakfast all week. Hope you enjoy! OH MY GOOOSSHHHH! you better believe I would FLYYYYY out of bed (as if I had WINGS) for this recipe! Oh you will be so happy if you do! This looks like a winner! I drink soothies Monday- Friday so we love a big breakfast on the weekend! My hubby would love the noodle/potato switch! Good luck with your entry! 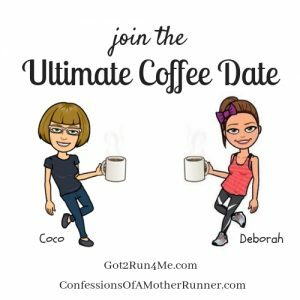 Mary Beth Jackson recently posted…Truly a recovery week! I love to make this on the weekend and eat it for a few days hope you both like it. I am going to make this for my sister! She loves potatoes and a veggie lasagna with potatoes is her version of heaven! Thanks! Thanks I really hope she enjoys it!